If you're concerned about installing a home elevator because you don't have much extra space, stop worrying. Vacuum elevators aren't called space savers for nothing! 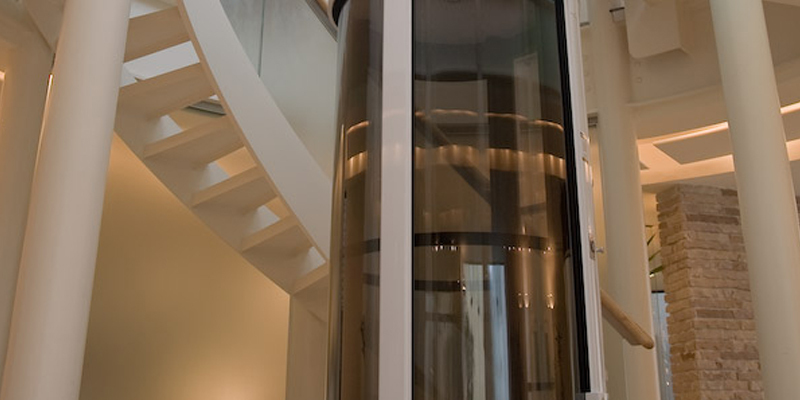 If you want to install an elevator and still enjoy the space in your home, a vacuum elevator is the only way to go. The Only Elevator that Saves Space – Most elevators are space-eating machines. They come with pits, machine rooms, bulky shafts, cables, and much more. All of the extra baggage that comes with traditional elevators makes them incredibly difficult to install in a home where space is limited. Knowing this, homeowners who don't have enough space should do one of two things: Decide that they'll never have an elevator in their home, or decide to go with a vacuum elevator. 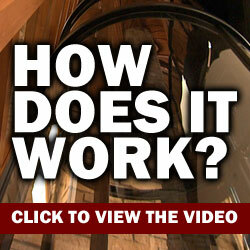 Wondering how a vacuum elevator saves space? Keep reading to find out. Vacuum Elevators – If you've already researched traditional elevators, then you're probably well aware of the add-ons that come with them. You have the machine room, pit, and, of course, an elevator shaft that takes up more space than you thought possible. The reason vacuum elevators are able to save so much space is they don't require any add-ons. Vacuum elevators are pit-free, do not come with machine rooms, and do not have a boxy shafts. When you look at a vacuum elevator, either in a magazine or in person, what you see is what you get. How Much Space Do You Need? – Okay, so you know that a vacuum elevator is going to save you space, but you don't know if you have enough room to begin with. It is hard to say exactly how much space is required simply because there are so many different types of models that you can choose from. Usually a vacuum elevator will only require one-third to one-half the amount of space required for a traditional elevator. Again, the reason we can't give you a solid answer is some traditional elevators run larger than others and some vacuum elevators run smaller than others. If you're having a hard time deciding if a vacuum elevator will fit in your home, just remember, you only need enough space for standing room – standing room for one person, that is. 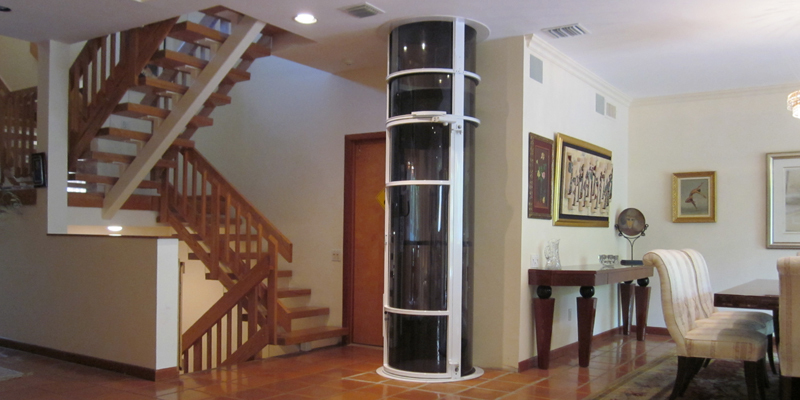 Chances are, if you can stand in your living room, you have enough space to install a vacuum elevator.